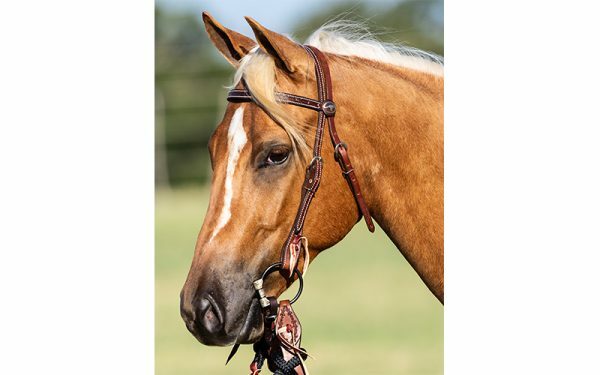 If you’re a serious trail rider, you need Clinton’s mecate bridle set. It’s his must-have training tool! 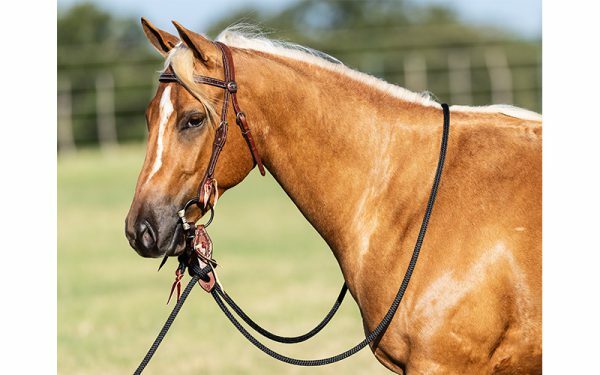 The barbwire mecate set comes with a barbwire headstall, a snaffle bit of your choice, a curb strap, your choice of one- or two-piece slobber straps, and a set of durable, 22-foot long rope reins. We recommend pairing our chestnut curb strap and our barbwire slobber straps with the barbwire headstall for a clean, classy look. The snaffle bit has a 5-inch mouthpiece and is a combination of a D- and O-ring. Copper inlays encourage the horse to salivate. The 22-foot long marine yachting rope reins provide easy-to-adjust loop rein control and are fashioned with a built-in lead rope. The weighted end of the lead rope makes the mecate the perfect training tool to do groundwork with your horse no matter where you are. 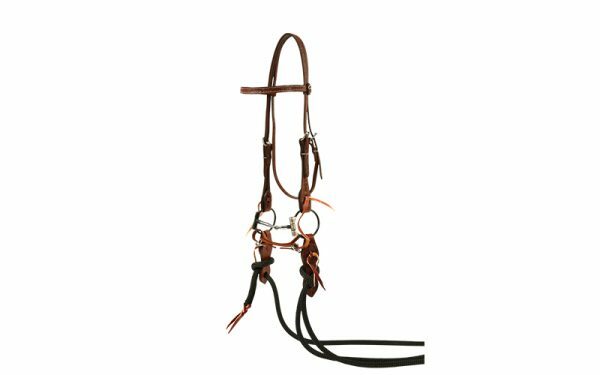 The slobber straps act as a hinge to allow you to release pressure quickly and pick up slower to reward and cue your horse precisely. If you often change bits on your bridle, you’ll want the two-piece style as it allows you to change bits without untying your reins. Download our Mecate Instructions. The step-by-step instructions will explain how to attach the reins to your bridle and how to safely tie your horse with the reins without removing the bridle.